Conservative MP Richard Bacon is a man who evidently knows his own mind, and is a backbencher who would appear from his record to act in accord with his beliefs rather than with a view to furthering his career in the parliamentary Conservative Party. Thus, he was in March 2003 one of only 15 Conservative MPs to vote against the Iraq War; in April 2006 he helped to precipitate the ejection of the then Home Secretary Charles Clarke from office following questions he fielded relating to what happened to released prisoners who happened to be failed asylum seekers, and he has for some time been campaigning for the reform of food labelling so that companies cannot claim – as they can at present – that meat produced abroad but packaged or processed in the UK is ‘British’. However, his efforts with respect to labelling ought to go further, for it would not seem that he has extended this principle to the compulsory identification of meat from religiously slaughtered livestock – halal and kosher – which constitutes a significant animal welfare issue. "A supranational court can impose its will against ours and, in my view, this is fundamentally undemocratic. "Judges do not have access to a tablet of stone not available to the rest of us that allow them better to discern what our people need than we can possibly do as their elected, fallible, corrigible representatives. "There is no set of values so universally agreed we can appeal to them as a useful final arbiter. In the end, they will always be shown up as either uselessly vague or controversially specific. "In the end, questions of major social policy - whether on abortion, or capital punishment, or the right to bear firearms, or workers' rights - should be decided by elected representatives, and not by unelected judges." Bacon’s reasoning based upon the principle of the law being responsive to and determined by the nation strikes me as a fundamental one, for who after all, appoints the judges in Strasbourg? To whom are they accountable? They, presumably, see themselves as akin to Plato’s ‘Guardians’, but their authority, clearly, is in direct contradiction to the principle of democracy and democratic accountability. 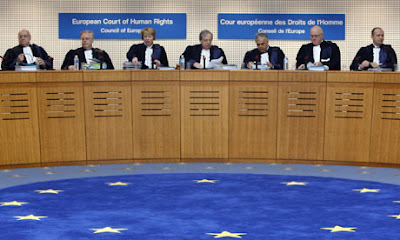 If the ECHR ostensibly portrays itself as the defender of ‘fundamental human rights’, does its interference in national law not constitute a contradiction of the democratic principle? Is the right to change our laws and to political self-determination not then a ‘fundamental human right’? 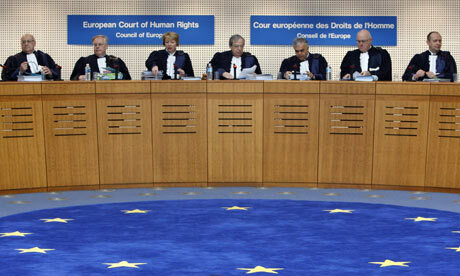 This seems to be the ECHR’s view, and as such, it undermines its own credibility by taking such a position. Although Bacon managed to muster the support of 72 MPs, unfortunately his bill was defeated, for 195 voted against it. One of his leading opponents was Labour MP Thomas Docherty, who did make the valid point that the authority of the ECHR in the UK arose not from the act which he was seeking to repeal, but from our membership of the European Convention on Human Rights. However, Docherty then went beyond any position to which I would subscribe, by making the baseless assertion that to depart from the Convention would somehow signal that we here in our country would condone torture or deny our citizens’ right to life, thereby setting a negative precedent for those living in countries struggling to obtain respect for individual rights and liberties. By making these points, he appeared to imply that the Convention was one of the few things restraining us from falling into a state of arbitrary barbarism, which strikes me as tasteless hysteria. To assert the primacy of national law above the authority and decisions of any supranational court is not to deny ‘human rights’, but to affirm them, in the form of the recognition of the concrete democratic rights of the nation and its constituent members. I find torture abhorrent, and do not argue for our departure from the Convention so that we may implement such a vile practice, or to deny our citizens their ‘right to life’, but to assert the democratic right of the nation to determine its own fate. We need therefore to leave the European Convention on Human Rights, as well as the European Union, for both departures would serve as necessary preconditions for the foundation of meaningful democracy and the revival of political participation in our country. Every nation deserves the right to self-determination, and at present, this is something that we are denied. I think you're right to compare the Strasbourg judges to Plato's guardians, ie the only fully individual and fully-formed people that his Republic would countenance. Is it a coincidence that there are shades of the Republic in any left-wing totalitarian polity, from the USSR through Hitler's Reich to the EU? I am sure that they perceive themselves in such a high-minded fashion. Although the EU does of course possess an authoritarian streak and seeks to enforce a certain ideology, a direct comparison with either the USSR or the Third Reich is I think mistaken, for although freedom of speech is today unfortunately circumscribed and people are penalised for holding politically incorrect beliefs, the EU neither possesses gulags nor death camps. If the EU can be adjudged to be 'totalitarian' in its advocacy of a certain ideology comprised of anti-nationalism, multiculturalism and encouragement of mass non-European immigration into our continent, it is a soft 'totalitarianism'. It is commonplace to juxtapose the 'Left' with the Hayekian 'Right', attributing totalitarian impulses to the former and libertarian ones to the latter, but why the power of transnational corporations and the banking system should be trusted any more than the power of a given state, is a total mystery to me. I for one subscribe to the opinion that limits ought to be placed upon the freedom of action of all such powerful actors, for whether those who thirst for power happen to operate the machinery of a given state or a transnational corporation or a bank, it matters but little to the disempowered mass of people who do not find themselves in positions of influence within either. The mantra of ‘public bad’ and ‘private good’ is as mistaken as the converse statement. Power takes many forms, as does the abuse of that power. Transnational corporations (TNCs) care not about democracy or the fate of nations, but one thing only: profit. Although democracy is widely paid lip service as being the ideal model of governance for the state, when it comes to corporations and business more generally, authoritarianism is portrayed as, and perceived to be, the ideal. The EU may be opposed to the right of its constituent nations to self-determination, but then again, the TNCs and the international banking system also find nations inconvenient, preferring instead the unhindered movement of capital, goods and people. Those who advocate the diminution of the state in favour of the growth of the power of TNCs and the banks, advocate the dissolution of nations and thereby the destruction of democracy. Such powerful agents look upon the atomistic, depoliticised world of the individual global consumer as the ideal, and those who attack every aspect of state power in favour of the mistaken assertion that private capital somehow encapsulates ‘freedom’, merely serve to hasten the arrival of what they may think is a ‘global village’, whilst in reality laying the foundations for the creation of a ‘global prison’. Wellsaid, Durotrigan. Globalism is bad for the survival and interests of nations whether it is represented by the internationalist socialists (although some would dispute this nowdays) of New Labour or the internationalist capitalists of the Conservative Party. UKIP, of course, have failed to recognise that unhindered capatalism can prove to be against the national interest. Thanks. This is certainly UKIP's Achilles' heel, although this element of their policy agenda tends not to be focused upon by the media. I don't believe that the majority of voters who lend them their support share their economic agenda.